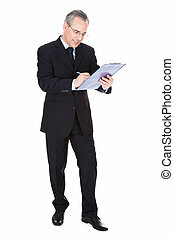 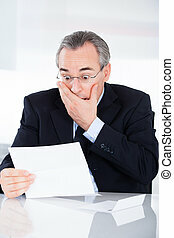 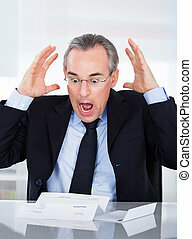 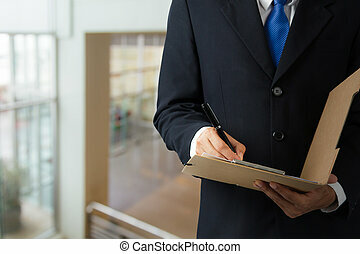 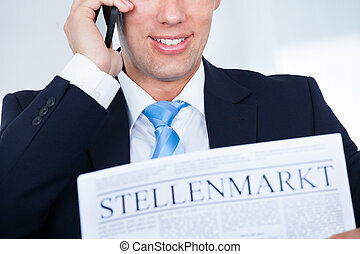 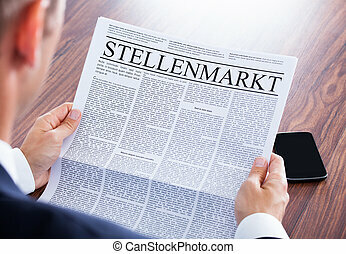 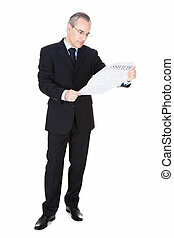 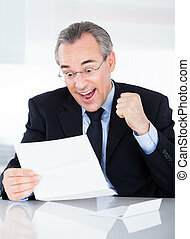 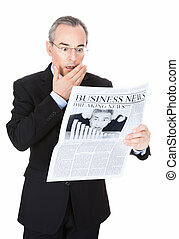 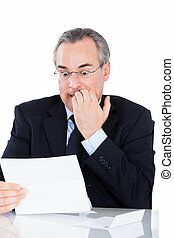 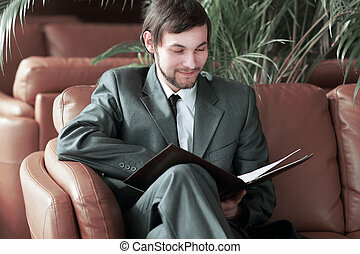 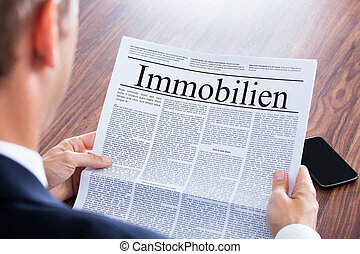 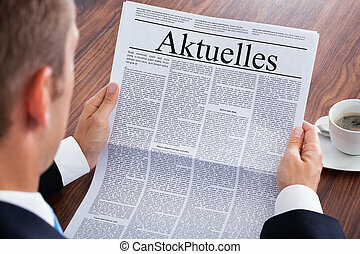 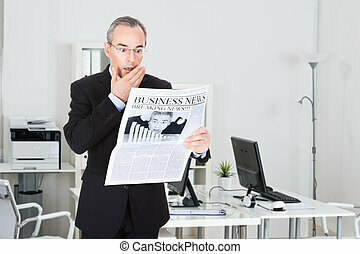 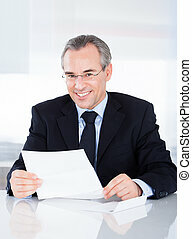 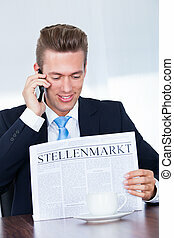 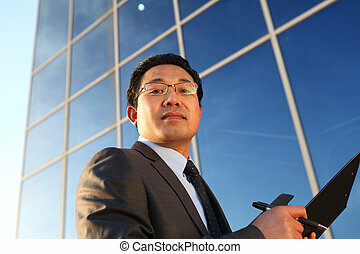 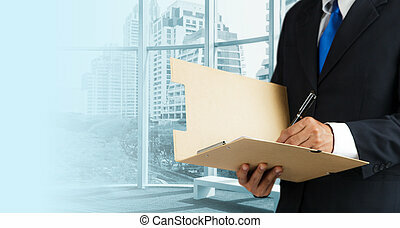 Businessman reading the contract form. 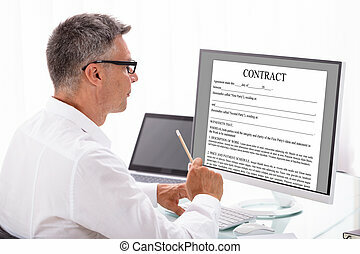 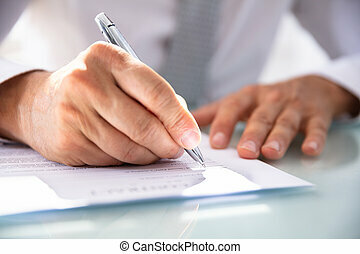 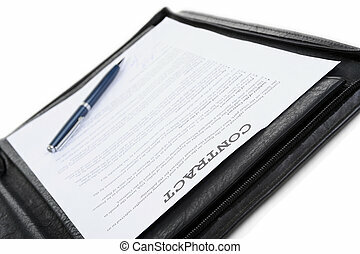 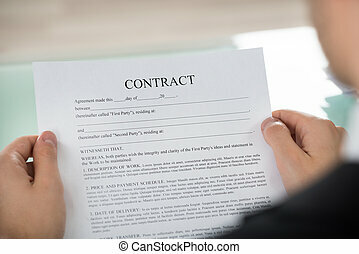 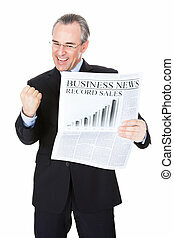 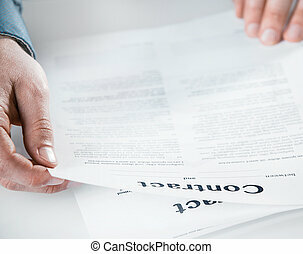 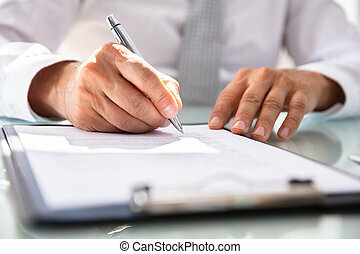 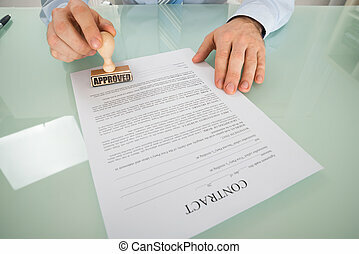 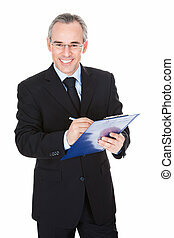 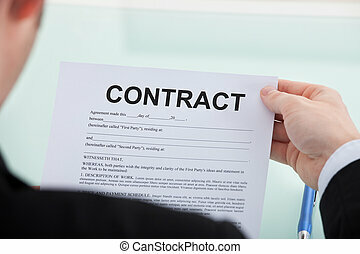 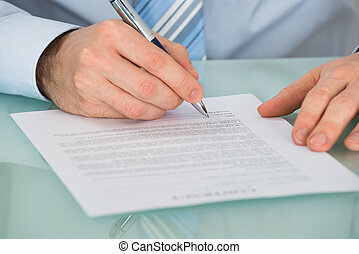 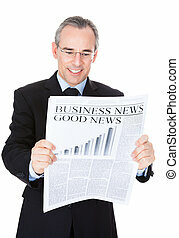 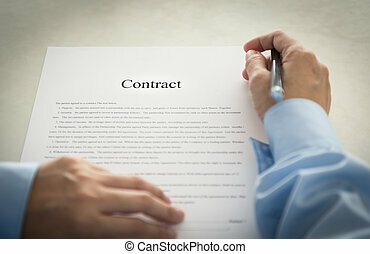 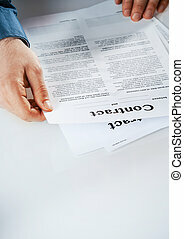 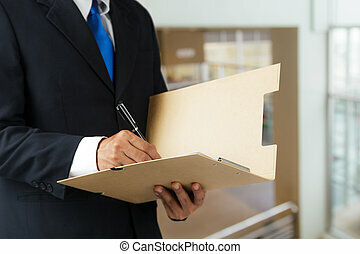 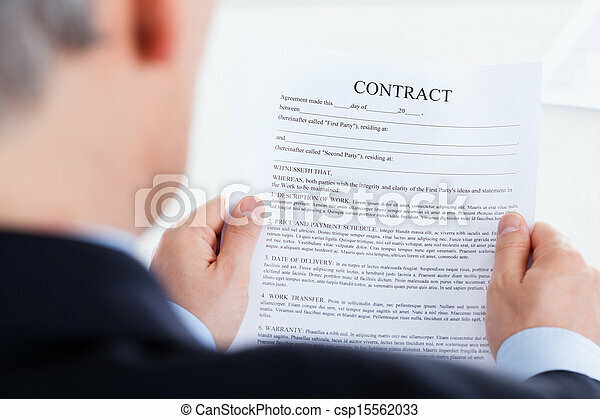 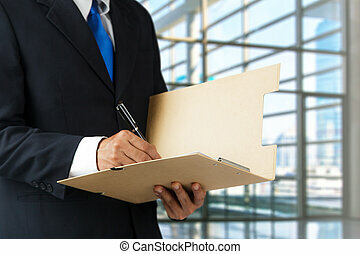 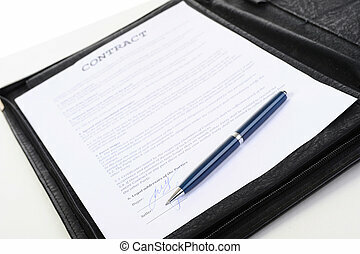 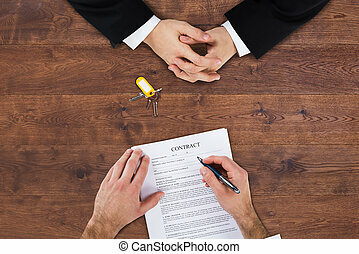 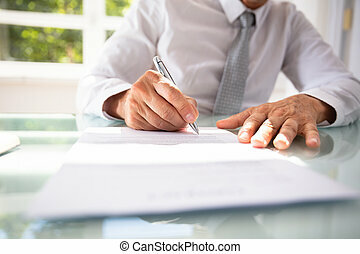 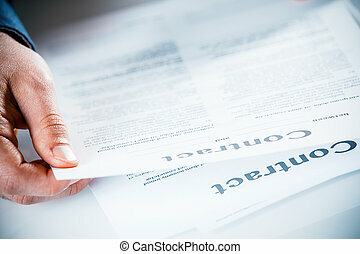 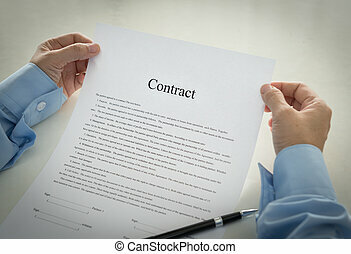 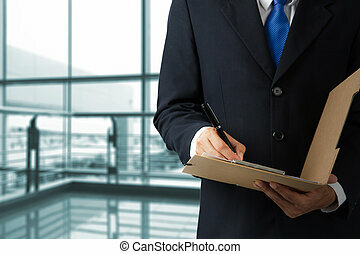 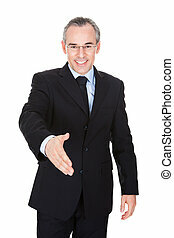 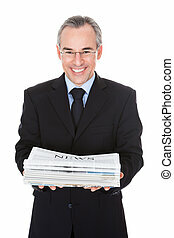 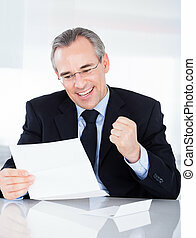 Close-up photo of businessman hand contract form. 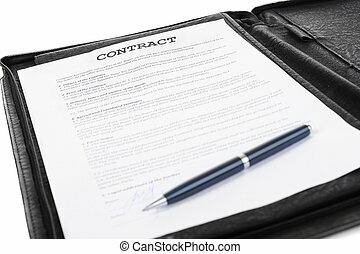 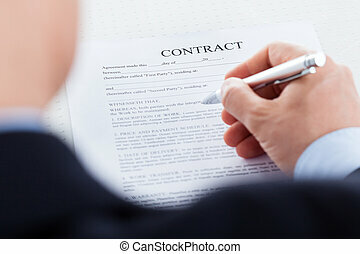 Businessmen have read the contract before you sign it.